Travel To Africa Without A Passport! 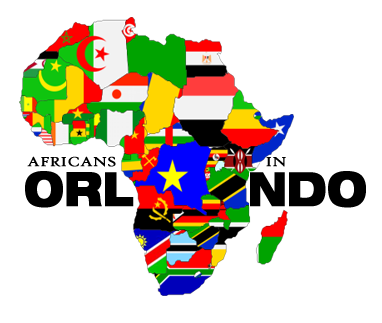 Join this amazing workout of dances from different countries in Africa. Get aboard this amazing voyage that will take you on a cultural journey and experience great burst of energy and rhythm while you tone your body and feel so so alive! This workshop is not only a workout, its an education and journey. The workout has you immediately moving your arms, waist, legs and hips to a blend of Central, East, South, West, and North African rhythms. It will take you on an exotic African Expedition pumping FUN through your veins, burning crazy calories and sweating buckets. Orlando African Dance energy adds living flavor to your workout, nourishing body, mind, spirit and soul. You can burn up to 1000 calories within one 60 min dance class. It is open to all dance fitness levels. Kukuwa is an Adjunct Professor at George Mason University, School of Dance and maintains an affiliation with the University of Miami, and Florida International University. Outside her University commitments it is no surprise that dance in all its wonderful incarnations has been an integral component of her life since the age of three. Today, her classes focus on African dance, history, and culture; they continually garner the highest enrollment numbers in George Mason University’s history. Outside the University, Kukuwa enjoys meeting with private clients for holistic nutrition and health guidance, providing personal fitness coaching, promoting Kukuwa Dance Workout conventions, workshops, corporate seminars, and destination cruise and resort vacations across the globe. Kukuwa is also an acclaimed author of African Health Secrets and African Dance with Passion. Endorsed by Oprah(‘O’ Magazine), Essence, and People Magazine; Kukuwa is a Certified Health Fitness Presenter and Examiner, and an authorized CEC provider for the Aerobics and Fitness Association of America (AFAA) & American Council on Exercise (ACE). A world renowned choreographer and performer, Kukuwa has earned international acclaim as the originator of the Gye Nyame African Cultural Dance Company, and creator of the Kukuwa® African Dance Workout. Kukuwa is the author of African Health Secrets and African Dance With Passion.